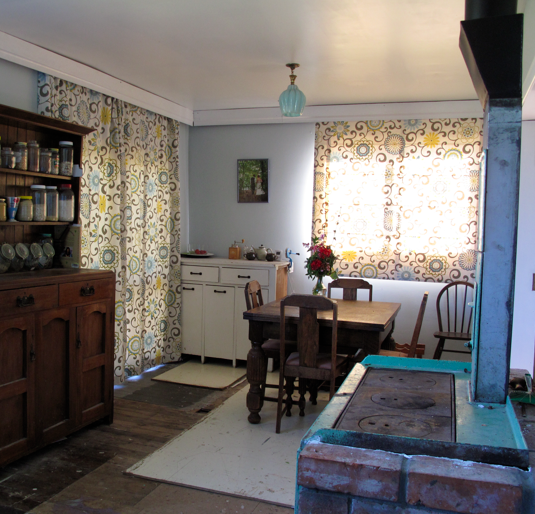 This is the 5th in a series recounting the theory and practice of eco-thrifty renovation running in our newspaper, The Wanganui Chronicle. I will admit that in the first four weeks of this column I did not offer very many examples of low-hanging fruit with short payback periods as implied in the first column. I will also admit that I love Neil Diamond and I love pelmets. While I spent the last three columns carefully explaining the components of passive solar design and how they work together, I am finally at a point this week where I can bring two of those components together in an eco-thrifty context and provide some examples of low-hanging fruit that promise short payback periods. Besides that last sentence being extraordinarily long, it implies that an eco-thrifty approach to renovation requires one to both take a big picture view and retain attention to details. I’ll use the example of thermal curtains, pelmets and window quilts to illustrate this point. As previously described, north-facing windows (here in NZ) are net energy gainers in the winter. While double-glazing is probably best for all windows in a home (and if building new by all means they should be installed), they are expensive to have made to replace existing single-glazed ones. As an alternative to double-glazing we wanted to look at how the performance of single-glazed windows could be maximized with low investment of money and time. What we came up with is a low-budget combination of familiar Kiwi practices and potentially unfamiliar ones from North America. 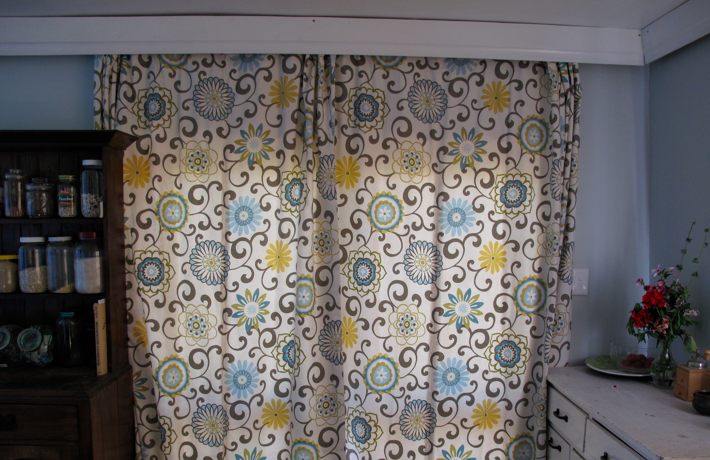 I’ll start with thermal curtains because they are probably the most familiar to everyone. There is not much to say except – wait for it – sometimes even the best thermal curtains won’t hold in very much heat if not installed properly. Let the physics lesson begin! A free-hanging thermal curtain that does not touch the floor can be almost as useless at heat retention as no curtain at all. (I would repeat that, but I’m writing to a word limit.) Here is how it works: 1) indoor air between the curtain and window cools and sinks to the floor; 2) this creates negative pressure between the curtain and window that ‘vacuums’ warm air from the ceiling and places it against the cold glass; 3) this air cools and sinks drawing more warm air from the ceiling to replace it; 4) and the cycle repeats. What forms is akin to a convection current through the room powered by the cold outside air against the window. The good news is that the cycle can be interrupted in two ways. The bad news (for some) is that one involves a pelmet. Fashion aside, I love pelmets because they are so practical! (Form follows function.) 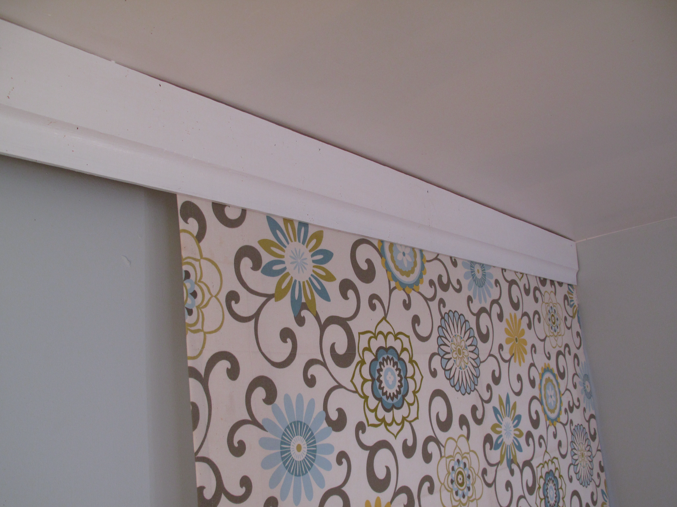 A properly fitted pelmet breaks the convection current by blocking the flow of warm air down from the ceiling. Alternatively – or better yet, additionally – floor-length curtains achieve roughly the same by slowing the free flow of cooled air out across the floor. In other words, heads: you win! / tails: you win! Both: Double win! And for a fraction of the cost of replacing all the windows in your home. But there is a catch. A human being is required to open and close the curtains according to the level of sunlight and the difference between indoor and outdoor temperatures. I highly recommend purchasing an indoor/outdoor thermometer to help with the energy management of your home. We got ours for $20 at local hardware store and I reckon it has paid itself back within the first year. Oops, out of words and never got to window quilts. Until next week. I am writing from North America, and am not familiar with the word pelmet. I looked it up online, and it sounds like what we refer to as a cornice board. I'm wondering, however, if a fabric valence would provide the same function of cutting off a convection current that the cornice board does. Any thoughts on that? I am enjoying your articles. We did our own extreme green retrofit in 2005 and have enjoyed lower energy bills since then. Hi Robert, Thanks for the feedback. I would imagine that it would depend on the 'wind-proofness' of the fabric. Think wool sweater vs. windbreaker, not that you would want nylon in your lounge!. A double layer of somewhat breathable fabric would slow down more air than a single layer. Or another option would be to hide a layer of cardboard under the fabric. I reckon that would block as well as a wooden pelmet. Hope that helps.